Recently, there has been a growth in the availability of kettle corn. It can now be purchased at most fairs, carnivals, vender shows, movie theaters, snack bars, and even in the supermarket. Despite this, the actual difference between regular popcorn and kettle corn is not known to most people. And it is important to note that kettle corn is considered popcorn. It is simply one type of popcorn out of many. 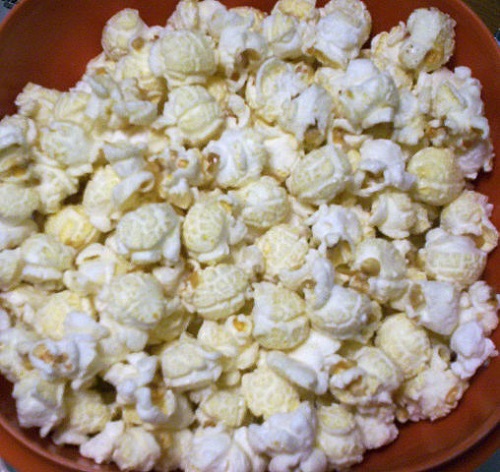 There are several factors where kettle corn is different from other types of popcorn, though. Rikki Roehrich. "The Difference between Kettle Corn and Popcorn." DifferenceBetween.net. January 3, 2017 < http://www.differencebetween.net/object/comparisons-of-food-items/the-difference-between-kettle-corn-and-popcorn/ >. How can you stir the kettle corn and keep the sugar from burning if the kernels are bursting and popping? I don’t understand how that works.